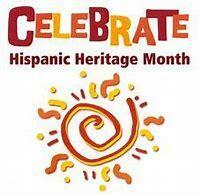 The Omaha Public Library plans a number of events to celebrate Hispanic Heritage Month, which runs from September 15th through October 15th. Emily Getzschman, Marketing Manager for OPL says a bilingual story time will be held at three branches – South Omaha, Abrahams and Washington – featuring English and Spanish stories, music, crafts and movement. Getzschman says fiestas are another highlight of the month’s events.